Kraków Airport is the largest regional airport in Poland, servicing the entire south-eastern area of the country. The Balice International Airport lies west of the Kraków's central area and is considered one of the most vital and largest communication centers in the entire area, also being the second largest airport in Poland, according to the number of processed flights and attending travelers (right after Warsaw's Okęcie). The airport services 3 millions of passengers annually via regular, charter and the so-called 'cheap' lines - both domestic and international. The port is located in Balice, around 11km from the center of Kraków. The airport is easy to reach thanks to the proximity of the A4 freeway and numerous local roads. Moreover, Balice can be reached by a train which runs from the Main Railway Station in Kraków, and stops just 200m from the port's access points. There are also 2 bus lines provided by Krakow's Public Transportation (buses no. 208 and 292), which take their passengers directly to the airport. 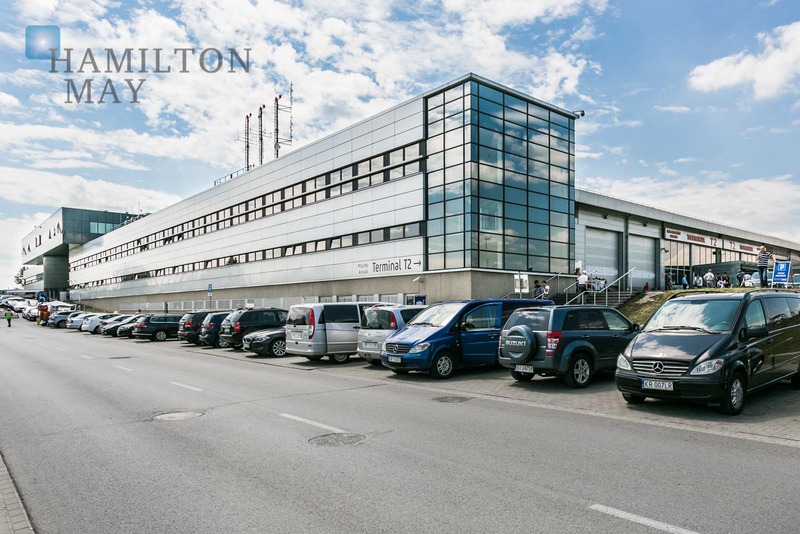 Hamilton May regularly receives inquiries from various individuals and entire families moving to Kraków, searching for apartments available for rent in the vicinity of the Balice Airport. Our Agency provides a wide choice of meticulously selected properties, which meet the typical criteria; floorspace of at least 80m2 and property's layout featuring two or more rooms. Such properties usually come with a garage or a parking spot, that are so sought after by a vast majority of tenants.